In an ideal world we'd all be able to travel with our entire makeup collection and have everything we wanted at our fingertips. For most, this is not only impractical, but also impossible. When it comes to traveling I want to bring products that perform well and don't take up a lot of space. This applies to makeup as well as my beauty tools. Most often, travel beauty tools really lack in quality and performance. That's definitely not the case with my new Tweezerman travel essentials! Whether you're looking for brushes, an eyelash curler, or even a handy hair remover, they've got your beauty bag covered. Brush IQ Mini Travel Brush Set | This set features super soft bristles that don't compromise quality just because they're pint-size. Brushes include: blush brush, foundation brush, blender brush and brow brush. As with most makeup brushes, you can use these however you like. They apply and blend with ease - no more scratchy travel brushes! All four brushes fit in the included zip pouch that has room for a couple more Tweezerman essentials. Easy Finish Facial Hair Remover | If ever there were a task I wish I could take a vacation from, it's hair removal. My unwanted facial hairs appear at the most inconvenient times. Thankfully Tweezerman has come out with a travel version of their Smooth Facial Hair Remover that fits easily (and discretely) in a bag or pocket of your purse. Unlike the original version, you only need one hand to quickly whisk away any unwanted hair. It makes hair removal just a bit easier, and I admit, a bit more fun too! 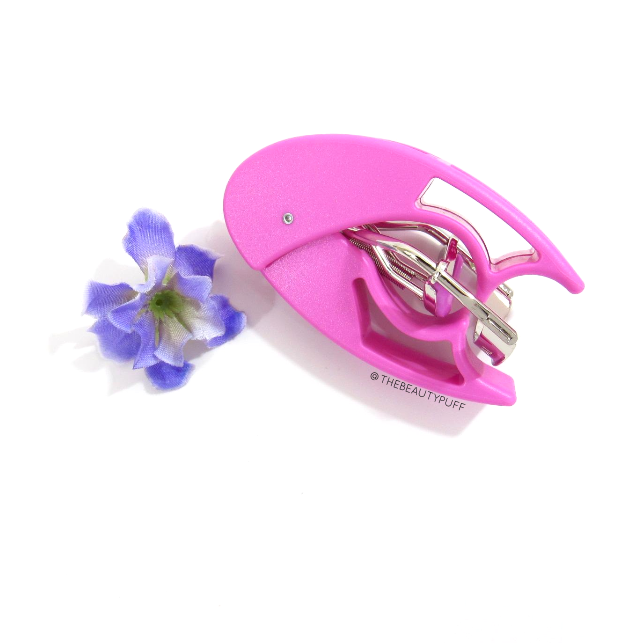 Curl 'n Go Eyelash Curler | Travel eyelash curlers are definitely not something I've had luck with. None of them compare to my full size Tweezerman eyelash curlers! I remember packing a travel curler in my hospital bag when I was pregnant, thinking a simple curled lash might make me feel a little more "me" after labor. Well that idea fell flat.. literally. I wish I had this Tweezerman curler back then! It has the strength of a full size curler and folds into a cute little egg-like shape. I've been loving using it in my every day routine, and almost forgot it's for travel. I'm definitely throwing all these treasures into my beauty bag! What will you be packing on your trips this spring/summer? Check out these and more products from Tweezerman below!